BEIJING — Standing at the eastern end of the Eurasian continent that enjoys the widest longitudinal span, China has been dedicated to its connectivity, urging Asian and European countries to work in unison for a more open global economy. With such an aim, Premier Li Keqiang started his trip on Oct 11 to Tajikistan, the Netherlands and Belgium. While China is taking a more active and responsible role in the global arena, Premier Li’s westward journey shows that China weighs Eurasia heavily, where the Premier pays visits almost every year. Eurasian cooperation has a huge potential considering its combined landmass, population and economic scale. From the first stop of Premier Li’s trip in Tajikistan to the last leg Belgium, Eurasian countries are a treasure of multi-ethic civilizations at different development stages that share the common aim of development. Despite development gaps, Eurasia enjoys a huge, competitive market with a wide range of possibilities for economic growth and all-around cooperation. As a developed Europe is undergoing an economic recovery and seeking an external means of growth, the less developed economies of Asia represent a strong source of demand, abundant resources and opportunities. Making good use of each other’s complementary advantages is currently at the core of Eurasian cooperation, and the dovetailing of the China-proposed Belt and Road Initiative (BRI) and the development blueprints of many Eurasian countries serves as an invaluable source of opportunity. 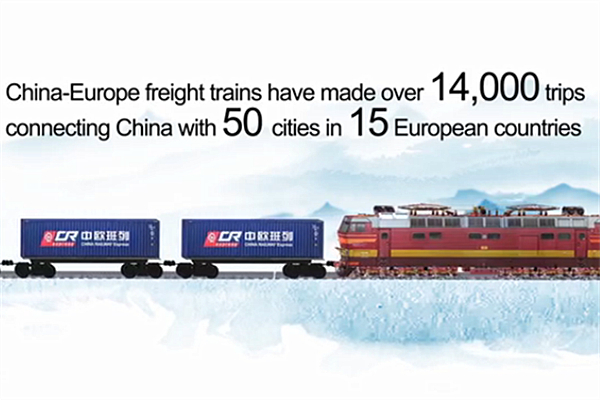 Dedicated to building a path toward openness, innovation, prosperity and peace on the vast land and through the mighty sea, the BRI has reaped the initial rewards in building up the overland transport network that links China with Central Asian and European countries. Particularly against the global background of rising unilateralism, protectionism and hegemonism, the EU’s willingness to boost cooperation and connectivity with Asian countries goes hand in hand with the China-proposed BRI.